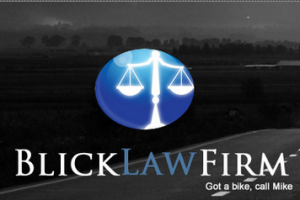 Blick Law Firm can help you get the best medical assistance and legal representation in the areas of automobile accidents, motorcycle accidents, premises liability, dog bites, slip and falls, marine and boating accidents, wrongful deaths and medical malpractice. Blick Law firm offers legal representation in criminal law specifying in the areas of DUI, traffic infractions, criminal defense, and sealing record removal. As well as specialize in white collar crime defense and medicaid/medicare fraud. Blick Law Firm’s immigration practice can help you in the areas of visa, asylum, citizenship, naturalization, deportation defense, adjustment of status, and employment authorization. If you are overwhelmed with debt, filing for bankruptcy can offer you protection and relief from your financial hardships. Blick Law Firm can help make sure that your claim is successful, and can answer any questions you may have regarding your bankruptcy claim. Blick Law firm’s real estate practice can aid you in foreclosure defense, title insurance, loan modifications, and short sale negotiations.